Our Personalized "What Happens Stays" Infant bodysuit is available on our premium 5oz, 100% white cotton Personalized Infant bodysuit with crew neck, double-needle hemmed sleeves and binding at the legs with three snap bottom. 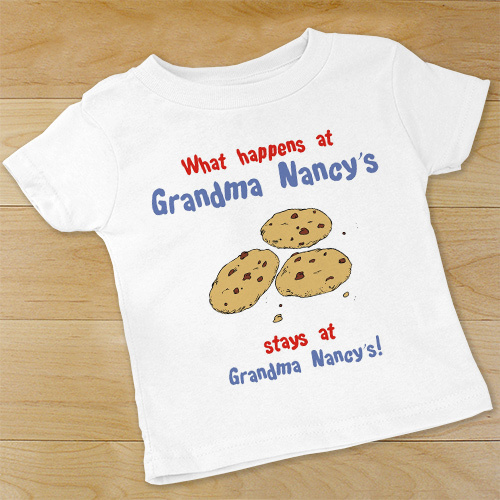 Machine washable in infant sizes NB-18 mos. Includes FREE Personalization! 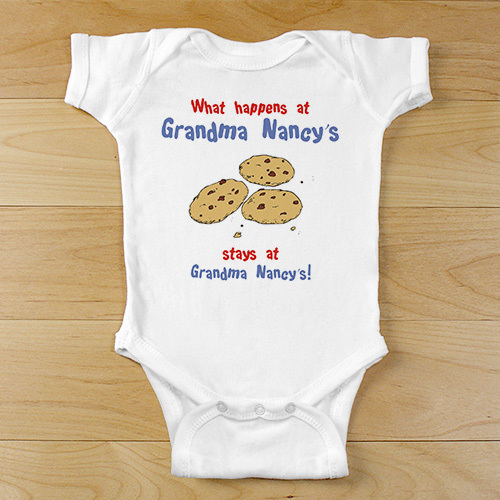 Personalize your Infant bodysuit with any title (ex. Grandma Beth).